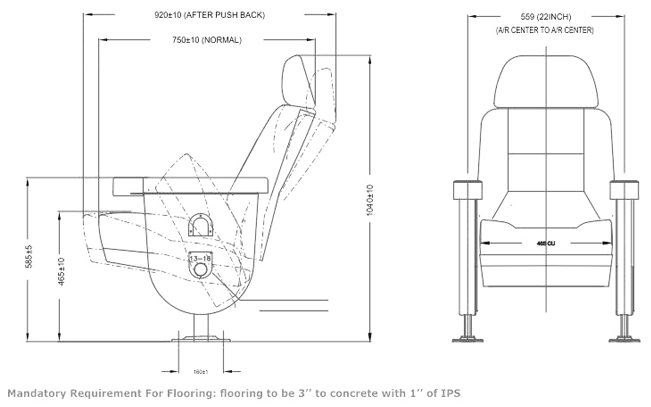 Seat sizes available from CTC 21" to 24"
Pushback with auto tip up feature. PPCP injection moulded housing for cushion & backrest. Moulded flame resistant & CFC free PU foam. Integral skin moulded armrest cup holder. 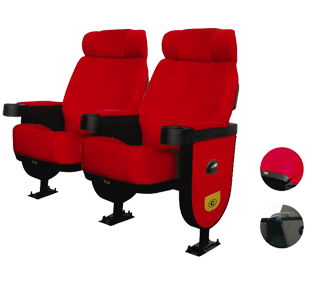 Enough thigh and backrest support with wider seating area. All exposed sheet metal parts are powder coated. All fasteners are zinc coated. Usage of anchor-fasteners with high bonding grouting material. Seat st. Numbering on chair cushion. Chair structure is made in combination of ERW pipe & sheetmetal. Back / cushion is made up of polyurathine foam (P.U.) with density of 50± 5 kg/m. Side light arrangement on aisle seats for easy traceability of rows / seats.